One of the newest mushrooms recognised as having properties beneficial to health, Agaricus Blazeii (Murill) is rapidly becoming one of the most popular. Health studies have shown benefits against certain kinds of cancer and promoting weight after chemotherapy. Commonly known as A.blazei Murill (ABM), after a mushroom discovered in 1945 by the mycologist William A. Murrill growing on the lawn of his friend R.W.Blaze in Florida. Although one of the newest mushrooms recognised as having medicinal properties, A. blazei is rapidly becoming one of the most popular. In traditional medicine, this mushroom has been used to treat a wide variety of ailments including general physical and emotional stress, diabetes, high cholesterol and circulatory problems, osteoporosis, peptic ulcers and indigestion, to chronic hepatitis and cancer. 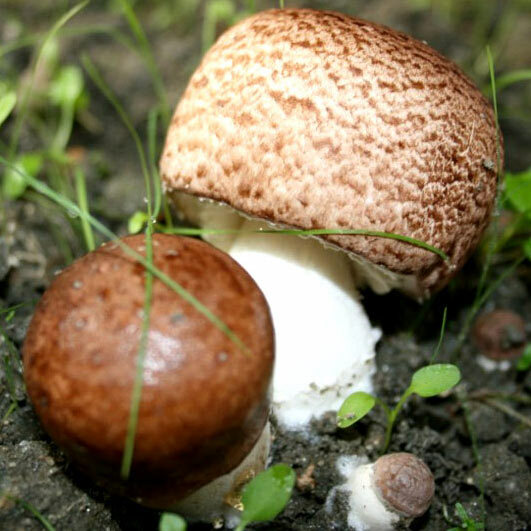 The Agaricus Blazei Murill is bets known for generally strengthening the immune system and promoting cellular health. The active components are polysaccharides, and each vegtarian capsule contains a 30% strength standardised polysaccharide extract.